Decked out for spring and ready to go for a relaxing weekend at home! 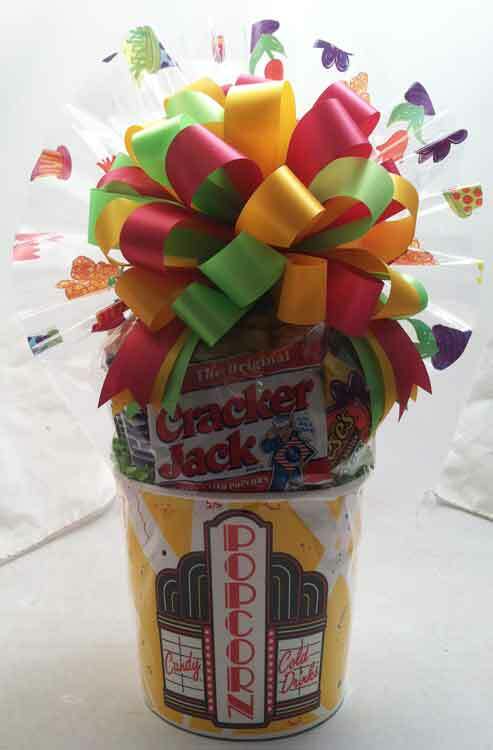 Filled with theater size candy, chocolate bars, snacks, microwave popcorn, nuts, and more. Wrapped in crisp clear cellophane and topped off with a hand made bow. Includes a handwritten greeting card.